Leon Black is back! 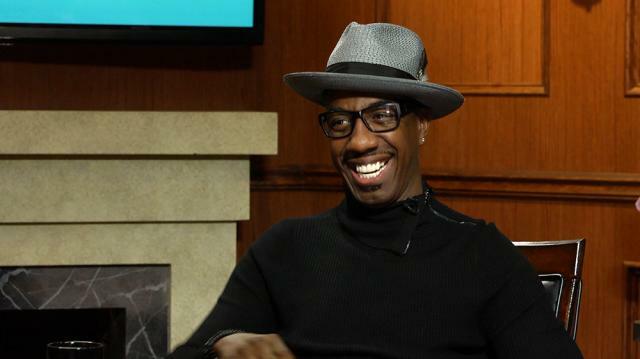 J.B. Smoove discusses what’s in store for the long-awaited ninth season of ‘Curb Your Enthusiasm’ and how Larry David broke the news to him. Plus, the comedian on ‘Real Husbands of Hollywood,’ Kevin Hart’s genius, & being a “B+” actor. JB Smoove is perhaps most known for his hilarious antics alongsideLarry David in HBO's 'Curb Your Enthusiasm', but today he sits down withanother iconic Larry in this entertaining episode of Larry King Now.Besides 'Curb', you may have seen Smoove as one of Kevin Hart'saccomplices on 'Real Husbands of Hollywood' or in cameos during hiswriting tenure at 'SaturdayNight Live'. In this interview, Smoove discusses his comedy career, hisfamily life, and his role in the upcoming holiday film'AlmostChristmas', which is released today, November 11. Smoovewas a major fan of 'Curb Your Enthusiasm' even before he joined thecast as Leon Black. The series is soon returning for a ninth seasonafter a five-year hiatus. Smoove gives a behind-the scenes scoop on theshow's improv-focused production methods and reveals and whether or nothe really believes Larry David's threat that Leon could be killed off bythe new season's second episode. And reflecting on his 'Real Husbandsof Hollywood' costar, Smoove also explains how Kevin Hart rose the ranksto become one of the big screen's most bankable actors. Plus,what does Smoove love about the fact that he has remained a notch belowthe Hollywood A-list? The ability to, as he eloquently puts it, sit in aNew York patio without the paparazzi capturing him eating "spaghettis,or stroganoffs, or anything sloppy." The conversation continues down alighthearted path as Smoove and King discuss simple pleasures rangingfrom grilling to RV trips to... nose picking? Watch this episode to findout news legend Larry King's take on this essential issue.